One of the most popular items on sale in the Lowther shop is the wooden sword. 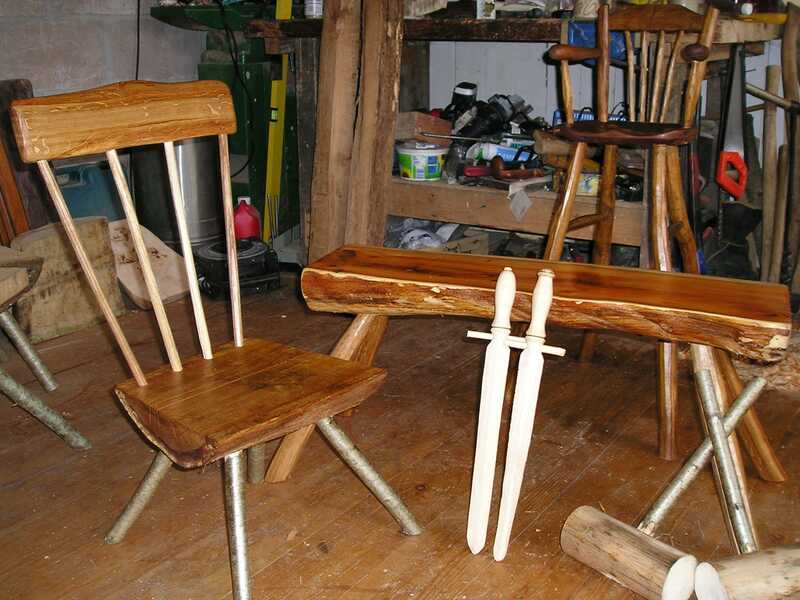 On this basis, they have invited the highly respected Dave Corrie – who has been running greenwood workshops for children in the Eden Valley for 20 years – to show their younger visitors how to make their own. The workshop will give young swordistas the chance to use traditional hand tools and woodworking methods to create their very own sword. Or, if they prefer, their own mallet. Either can be taken home and the timber used will be locally sourced. Weather-permitting, this workshop will be held outdoors in the Garden, so they ask that those attending dress accordingly. If there is very heavy rain however, they will find an indoor space. All tools and materials will be provided. All children go away with their own sword or mallet. For 7 years and older. They ask that attendees arrive 10 minutes before the start time of their session. Booking is essential. Parental supervision essential, but parents do not need a workshop ticket.